Omnath, Locus of Mana ($17.10) Price History from major stores - Worldwake - MTGPrice.com Values for Ebay, Amazon and hobby stores! 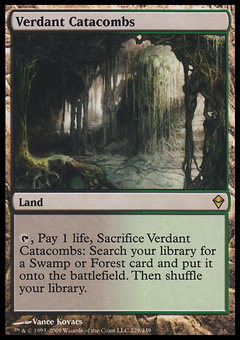 Card Text: Green mana doesn't empty from your mana pool as steps and phases end. 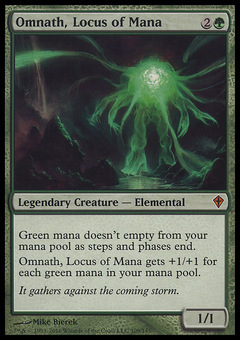 Omnath, Locus of Mana gets +1/+1 for each green mana in your mana pool. Flavor Text: It gathers against the coming storm.